﻿ Handlights by McDermott Corp. If you are looking for handlights, you have come to the right place! Here at McDermott you will find the brightest handlights on the market today. 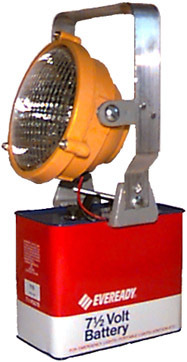 rugged hand lights, explosion proof hand lights for police, fire, emergency service, and railroad departments. Our lights provide greater illumination and are less expensive then our counterparts.